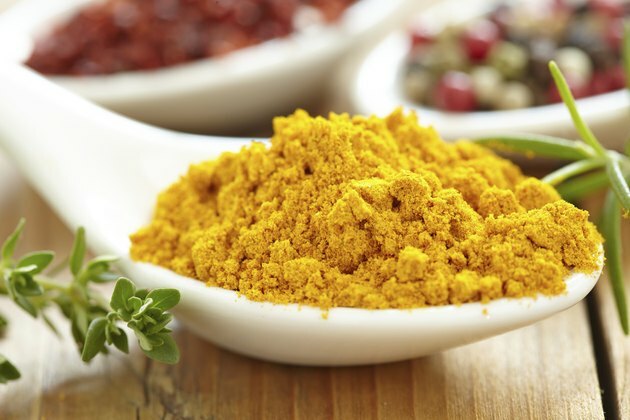 Turmeric was first used as a dye thanks to its rich, golden yellow hue. It next made its way to the food table as a condiment and eventually became recognized for its medicinal properties, including its impact on blood clotting. While there are claims that turmeric will dissolve a blood clot, there is little evidence to support this theory. However, studies exist proving it will slow or inhibit formation of clots. This attribute, although useful in many cases, may also be associated with serious risks, so know the benefits versus the risks of consumption and how they apply to your health. 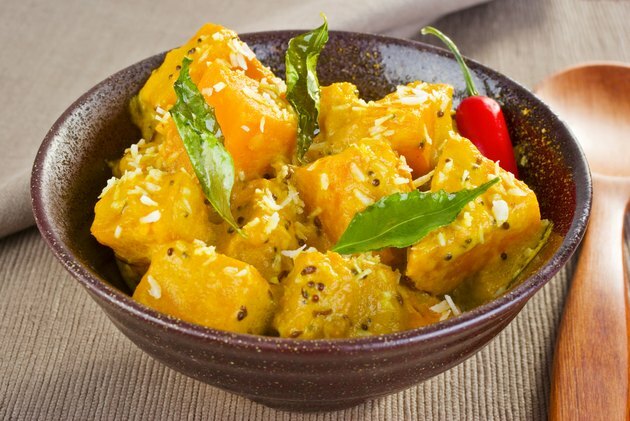 Turmeric is believed to have originated in India and has been a part of its culture for more than 2,500 years. This plant is widely known for its bitter flavor and deep yellow hue. 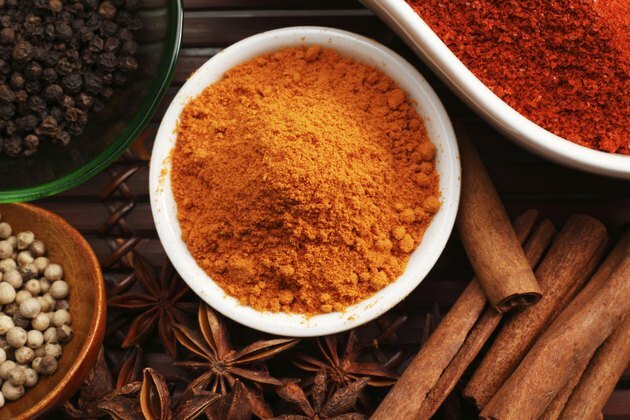 Turmeric is used worldwide for everything from flavoring to dyes to medicines. It may used to treat heartburn, diarrhea, gas, headaches, lung infections and water retention, but there is little conclusive evidence to support turmeric’s effect on these conditions. One of the proven medicinal benefits of turmeric is its anti-thrombotic properties or ability to inhibit blood clotting. 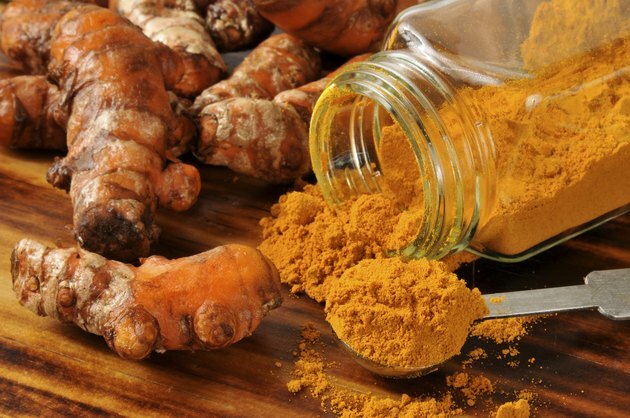 A 1999 study in “Biochemical Pharmacology,” a 2005 study in the “Journal of Physiology and Pharmacology” and an ongoing study begun in 2009 by the USDA have shown that curcumin, a chemical in turmeric, reduces the risk of clogged arteries, strokes and heart attacks. Turmeric’s effect is not due to any influence on a reduction in serum cholesterol or triglycerides but simply to its ability to inhibit platelet aggregation and keep blood flowing. Announcing the development of a new stroke-recovery drug using curcumin at the 2010 American Heart Association Stroke Conference, speakers reiterated the fact that turmeric alone does not dissolve clotting because it is poorly absorbed and easily depleted once ingested. Turmeric is used in many medications and supplements that take advantage of its known anti-thrombotic, anti-inflammatory and anti-carcinogenic properties. Turmeric can also be found in high amounts in mustards, butters and yellow cheeses -- the yellow color of these foods is attributed to their turmeric content. Turmeric is added to many curry dishes, as well as pickles, and may be used in place of the expensive spice saffron. Turmeric’s ability to reduce blood clotting makes consumption risky for individuals who are pregnant, taking anti-coagulants, suffering from gallbladder problems or are awaiting surgery. It may also increase the risk of bleeding when taken in combination with other herbs or supplements that inhibit blood clotting. Consult your doctor before making any changes to your diet or taking any new supplements. Journal of Physiology and Pharmacology; Effect of Curcumin on Atherosclerosis in ApoE/LDLR-double Knockout Mice; R. Olszanecki, et al.